EUC 100C – John Lennon's "Lost" White 1965 Phantom V Comes Out Of Hiding To Receive Honors From The International Rolls-Royce Community! with Alan Hobbs and Johan Vanden Bergh, chairman of the RREC. 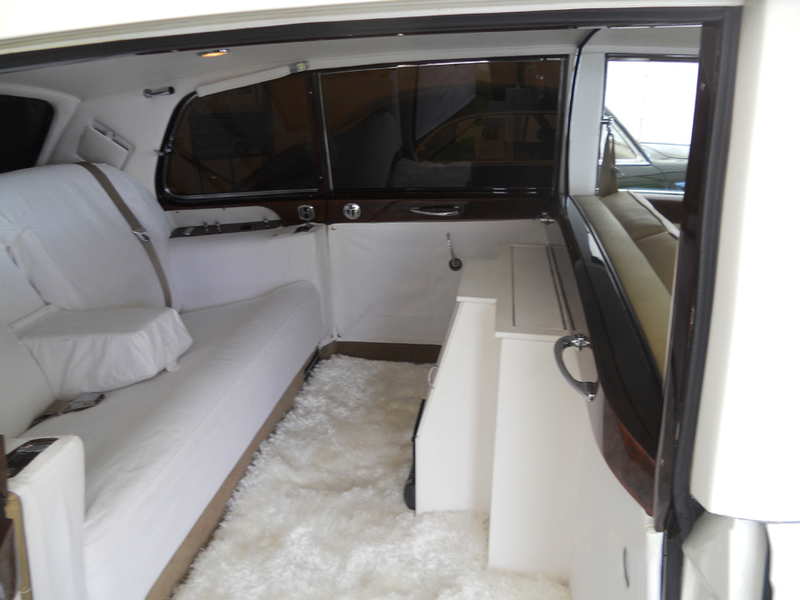 At last, after an absence of three decades, one of Rock 'n' Roll's most famous limousines has been immaculately and expensively restored by its current owner, Jody Klein, head of ABKCO Music and Records. 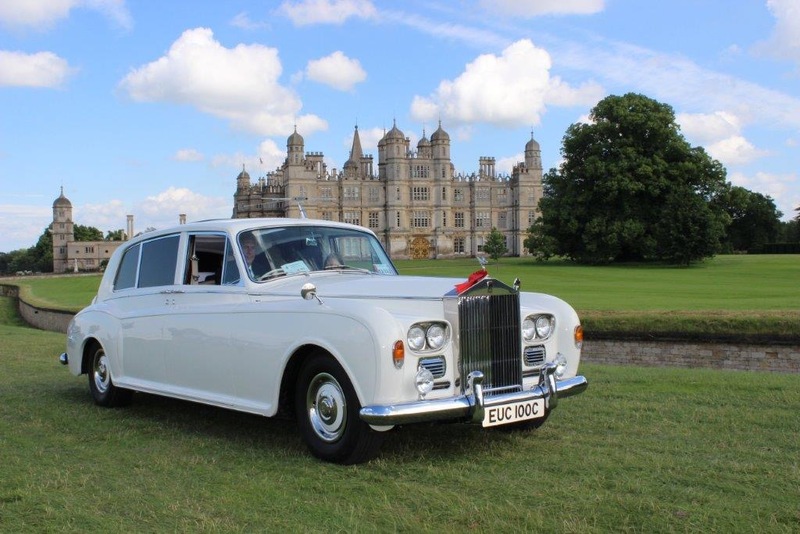 The majestic 1965 Phantom V, chassis number 5VD63, was revealed and much admired at this year's Rolls-Royce Enthusiasts' Club Annual Rally and Concours d'Elegance in the spectacular grounds of Burghley House in Lincolnshire over the weekend of June 24-26. The event is the largest and most prestigious gathering of Rolls-Royce and Bentley automobiles anywhere in the world. There could be no more suitable setting for the return of EUC 100C. Visitors to the marquee occupied by independent luxury car specialists, Rolls-Royce & Bentley Garages, were given a privileged, close-up viewing of a car that has had a long association with the film and music business. Established in 1984, RR&B Garages is one of only 30 accredited members of the exclusive Rolls-Royce and Bentley Specialists Association. Having garnered numerous awards for their concours restorations over the years, in 2008 the company based in Bromsgrove, Worcestershire was tasked with giving Jody Klein's white Phantom V a full ground up restoration. 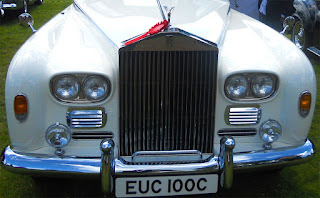 Under the leadership of senior technician, Alan Hobbs, and founder/managing director of RR&B, Ian Pinder, EUC 100C has been brought back to mint condition in every detail. On the last day of the rally at Burghley it was judged best in its category - the S type Cloud class, 1955-66. This was a fitting reward for the owner and his chosen team of automotive experts for their unstinting commitment to saving this historic limousine for posterity. and red rosette and trophy. unique all white interior as originally specified by John Lennon. linked to a PA system operated from the rear compartment.